Yesterday we watched a very interesting movie "The Countess" on Netflix. Based on a true event, the movie covers the brutal practice of an influential countess Elizabeth Bathory putting some 650 girls to death in pursuit of replenishing her fading beauty. She devised a special instrument to squeeze the blood out of her victims so that "no blood is wasted." The movie was beautifully picturized with facts presented in good order. A must watch for people fond of historical movies. Coming to the recipe, I got this recipe from a magazine. I didn't follow it, however, entirely. Somewhere down the middle, I applied my own brain to cook it according to the taste bud of me and my family. 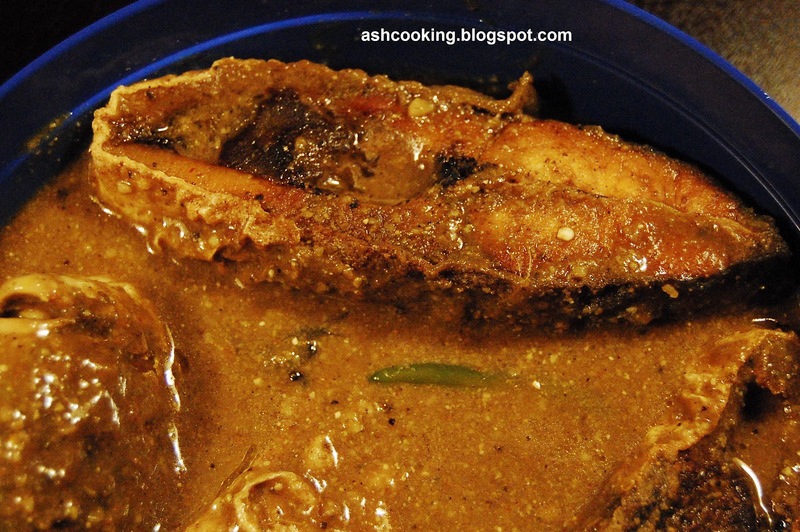 By the way, apart from pomfret, this dish if cooked with Bhetki will turn out equally mouth-watering. 1) Toss the fishes in turmeric powder and salt. Deep fry and keep aside. 2) Dry roast the ingredients for Kashmiri garam masala and grind them into fine powder. 3) Mix in the ingredients for special tikki masala with oil and water. Stir the mixture with a spoon to disentangle any lump if formed. Add more water if in case the lentil powder soaks up all the water. 4) Heat oil in a wok. Add brown cardamoms and cloves when oil turns smoking hot. Allow the ingredients to crackle. 5) Now add the tikki masala paste and sauté for 5 minutes. Add the tamarind paste and sauté again for couple of minutes. During the course of sautéing, you need to keep on adding water in small measure every time the gravy becomes dry. 6) Toss in the fried fishes. Add 1 tsp of the kashmiri garam masala and salt. Simmer away for 1 minute. 7) Mix in the green chillies. Turn the heat off. 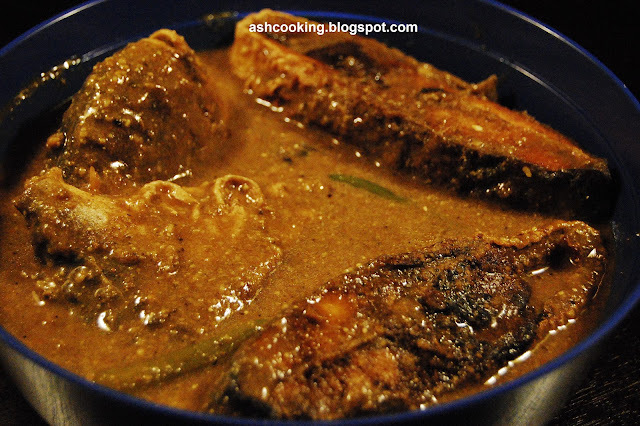 8) Serve hot with rice or pulao. It tastes heavenly.